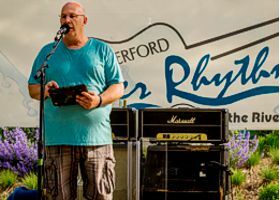 Join us this summer for Season Twelve of Waterford River Rhythms at Village Hall Park. We look forward to another seven amazing shows this year that are sure to provide that great summer vibe. The utility work and road construction that is going on right now will be with us most of the summer I believe. To get updates on the progress, visit the Village web site for the latest information. We have been blessed over the years with sponsors that continue to support us. This event simply would not go on without their help. Please recognize and support them, and tell them thank you whenever possible. I cannot think of a better way to open a season than the return of Anthony Gomes. 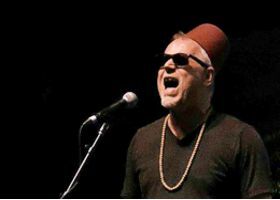 His raw blues guitar and vocals will once again rock the Village Hall Park stage. Blues Rock Review Magazine named Gomes' forthcoming album as one of the most anticipated releases of the new year. The album, tentatively titled 'Peace, Love & Loud Guitars', is scheduled for a summer release. 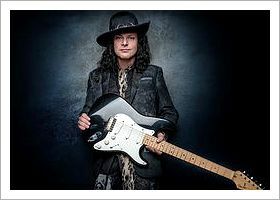 And... Anthony Gomes recently won the 2017 European Blues Award for Best Musician (Performer) and is recognized as a #1 Billboard Blues Artist. 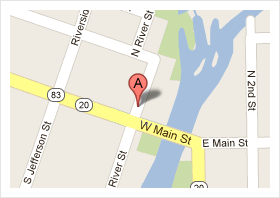 Due to our lovely weather, tonight's show is moving to the Cotton Exchange Banquet Hall. Same time, same everything. You can even bring your lawn chairs if you like. Not that you need to, but Cotton Exchange is being very accommodating. Cotton Exchange will be selling food as usual and they will be selling alcohol as well. The Altered Five Blues Band starts at 6:30pm as usual. Also, our new River Rhythms shirts will be available tonight, so be the first to get one! For those that don't know, Cotton Exchange is located at Hwys 83 and 20. 345 Hickory Hollow Rd, Waterford. Ample parking ! 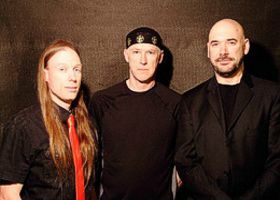 Altered Five Blues Band has been winning audiences with a swaggering stomp of bruising, barrelhouse grit. 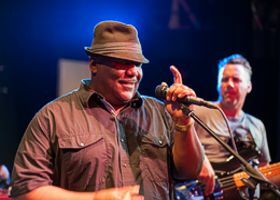 According to Downbeat Magazine, frontman Jeff Taylor “sings powerfully” and “Jeff Schroedl’s live-wire guitar reaches the high bar of mixed invention and fluidity.” Blues Bytes Magazine declares the group “the funkiest rhythm section outside of Memphis” and the Milwaukee based quintet has recently been nominated for the 2018 Blues Music Award! So, it's a Holiday weekend and everybody wants to party. Well, what better band to get the party started than the local favs. Bring your festive attitude and your birthday wishes for our great country, and let's continue with the celebration! Come on out and do a little dancin', it's a Holiday Thursday in Waterford and Jamie is going to get you going. Based on what we see on radar, tonight's show is moving to the Cotton Exchange Banquet Hall. Same time, same everything. You can even bring your lawn chairs if you like. Not that you need to, but Cotton Exchange is being very accommodating. Cotton Exchange will be selling food as usual and they will be doing some drink specials. Rush Tribute Project will start at 6:30pm as usual. 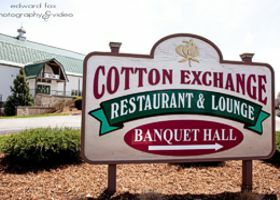 For those that don't know, Cotton Exchange is located at Hwys 83 and 20. 345 Hickory Hollow Rd, Waterford. Ample parking ! Standing ovations at River Rhythms are pretty rare due to the social nature of the event. When a band gets a standing ovation, we take notice. When a band gets two standing ovations, well that's simply unheard of. The Rush Tribute Project received two standing ovations last season, so we took notice. RTP is not just a tribute band. They bring the magic of Rush’s famous live concerts to Village Hall Park. Covering all forty-plus years of Rush’s amazing career, RTP painstakingly recreates the sound and energy that has made Rush one of the top selling rock bands of all time. With a lineup that has performed Rush tribute shows for over a decade across North America and around the world, including RushCon, RTP stands out as one of the premiere tributes to a legendary band. Based on the weather forecast, and the fact that this band is too large for the Cotton Exchange stage, we are forced to cancel this show. We apologize for this, but the weather certainly has been an issue this year. ~ Al Milan. It seemed like a crazy proposition, getting 20 of Dane County‘s best to perform the classics of Steely Dan. But that’s exactly what happened in the fall of 2013. The band, headed by Dave Adler and Dave Stoler, has been selling out venues ever since with their tribute to the talents of Walter Becker and Donald Fagen. Over the years numerous people have asked me to bring some country to the park. Even though I'm not a raving country fan, I've never been opposed either. My response to those that have asked has always been, "If I do, it has to be somebody a little different and really good." Well, I think I have found that somebody. 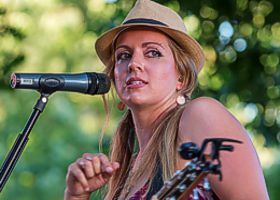 The WhiskeyBelles are a traditional country, Americana trio based out of Milwaukee. 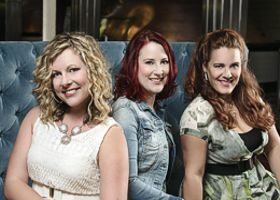 Born of gin halls and juke joints, The Belles are widely known for captivating shows featuring their own take on classic and obscure vintage-country, Americana, folk-revival and roots-country tunes, with their own WAMI winning originals sprinkled in. They’ve been compared to the Pistol Annies, Dixie Chicks and The Trio (Dolly Parton, Emmy Lou Harris & Linda Ronstadt). The original stage was 17ft wide x 13ft deep with a natural turf ramp, steps in the back and steps on the left side. For the 2015 season, the stage was expanded to 30ft wide x 20ft deep to accommodate the larger bands and bigger shows. The Cotton Exchange has been the exclusive food vendor for River Rhythms for quite some time now. They bring a bit of an upscale flair to festival food at reasonable pricing. They also have water and soft drinks for sale as well as the occasional desert ! 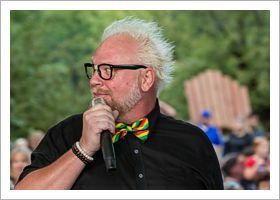 Burlington has their version of River Rhythms called B-Town Sounds which runs on opposite Thursdays of River Rhythms. This way we all have access to FREE live music almost every week! The shows are held in Echo Park. Visit B-Town Sounds on Facebook for their schedule.